At this point it's easy to see that WB and DC are heavily invested in Margot Robbie's on screen version of the Harley Quinn. 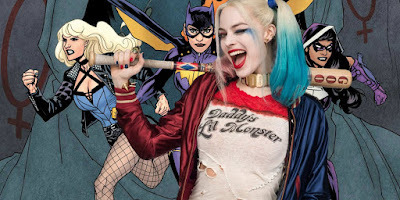 With the upcoming Joker and Harley spinoff script complete, it looks she'll be returning to the role numerous times over the next several years. The Suicide Squad sequel will feature her character as well as Birds of Prey and the aforementioned project about the two partners in crime, Joker and Harley. Now, word has finally broken on the female led DC project. Birds of Prey will be getting released on February 7, 2020 where it will have a clean slate and literally no competition. Typically, that month doesn't get many big budget blockbusters as people are still getting over the big holiday push. So far, work on the movie has been extremely quiet. With an official date announced, we can expect to see a bunch of news about the movie. It's also being planned as an IMAX release.